Niall O'Brien will play for Ardmore against Brigade in this Sunday's Bank of Ireland Senior Cup tie, which takes place at the Blechgreen. North West side Ardmore have agreed a short-term deal with Ireland international Niall O'Brien to play in this weekend's Senior Cup quarter-final tie against Brigade at The Bleachgreen. The NW Warriors wicket-keeper batsman initially had indicated that he would be playing for Brigade in the fixture, but in a dramatic U-turn on Sunday announced his involvement for their opponents Ardmore. "I have agreed to play for Ardmore for this Sunday’s fixture in the cup," said O'Brien. "I am looking forward to sampling the North West cricket experience. 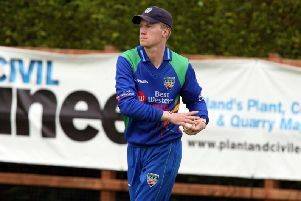 "As a current member of the North West Warriors squad I enjoy the competitive spirit within the region and I'm sure it will be a great game of cricket on Sunday." 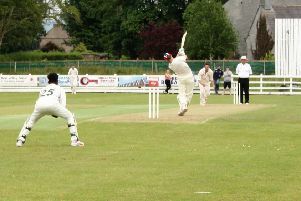 Newbuildings became the first side to reach the semi-finals with a 69-run verdict over Ballyspallen on Sunday. In the remaining games next Sunday, Donemana travel to Coleraine in their quest for a record seventh consecutive win, while Eglinton face Fox Lodge in another all-Premiership clash.